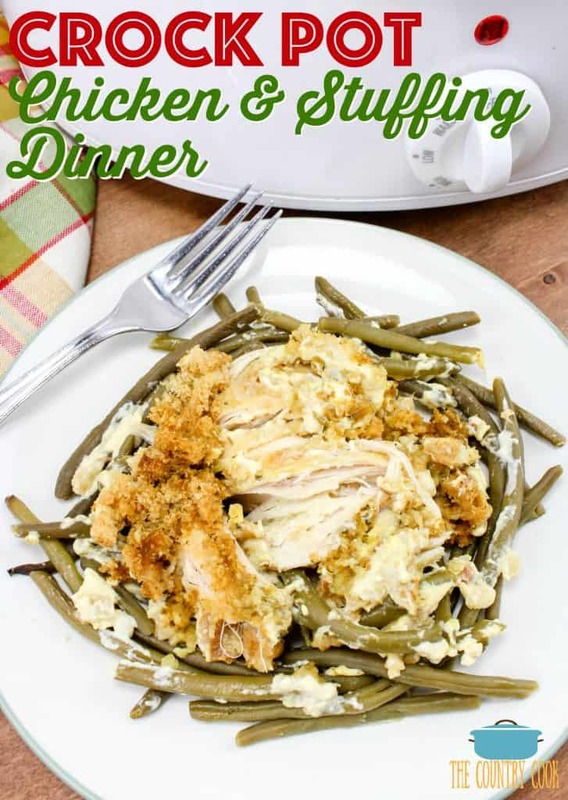 WHAT DO I SERVE WITH CHICKEN AND STUFFING? I think you definitely want a fresh, green crisp salad to enjoy with this. But I also like to serve it with my STEAKHOUSE ROLLS or my SOUTHERN CORNBREAD. Cook’s Notes: If you’re chicken breasts are on the smaller side, you can add in an extra one. Also, you can substitute the water in this for milk for a creamier filling. 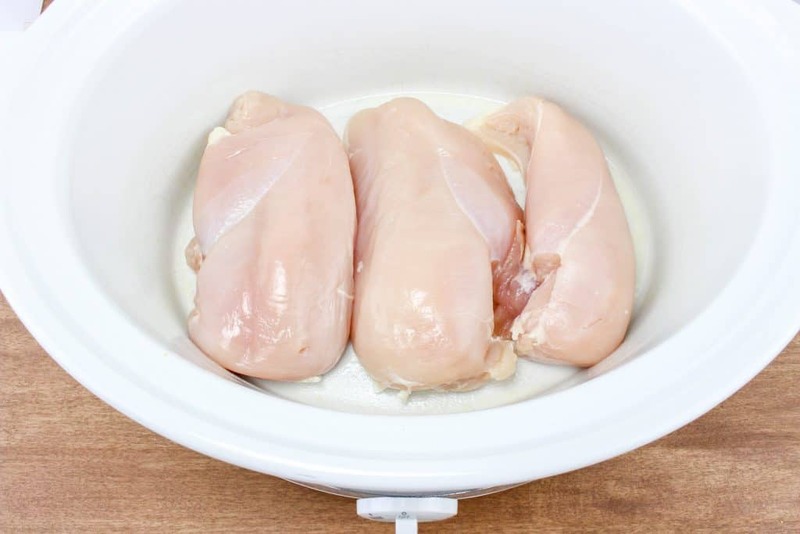 Place the chicken breasts in the crockpot. Season chicken breasts with one teaspoon garlic powder, salt and pepper. 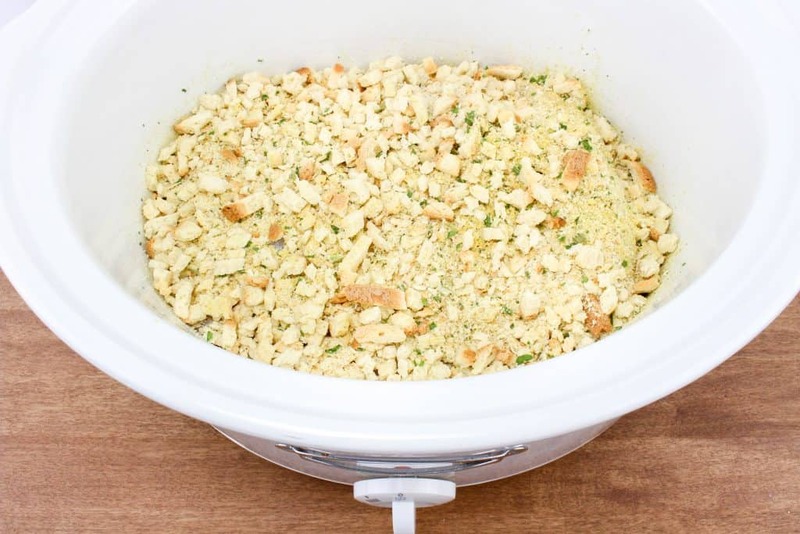 Sprinkle the dry Stove Top chicken stuffing mix over the chicken. 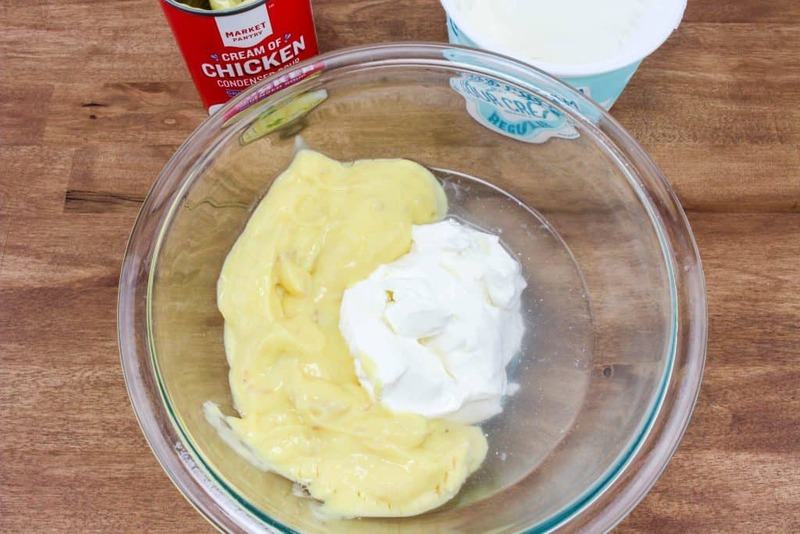 In a medium bowl, mix together the cream of chicken soup, sour cream, and water. Spread this mixture over the stuffing layer. 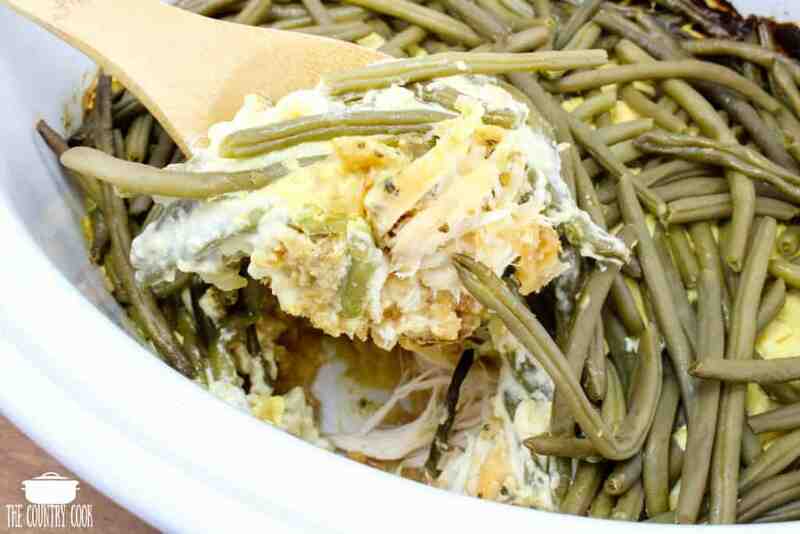 Sprinkle the frozen green beans on top. Season again with one teaspoon garlic powder and a bit more salt and pepper. Cook on high for 4 ½ to 5 hours. Chicken temperature should be 165f degrees when fully cooked. A whole meal in one! 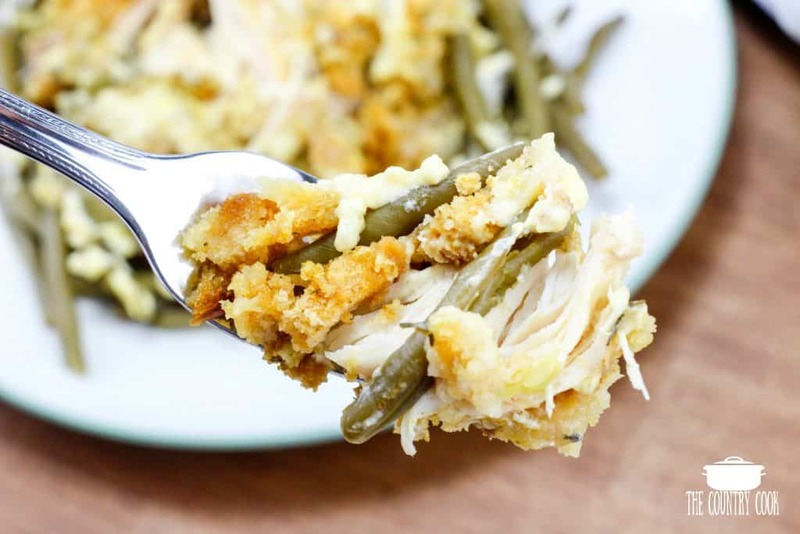 This Crock Pot Chicken and Stuffing Dinner is a whole meal in one. 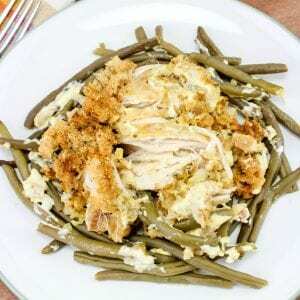 Chicken breasts, cream of chicken soup, sour cream, green beans and stuffing - yum! If you're chicken breasts are on the smaller side, you can add in an extra one. Also, you can substitute the water in this for milk for a creamier filling. 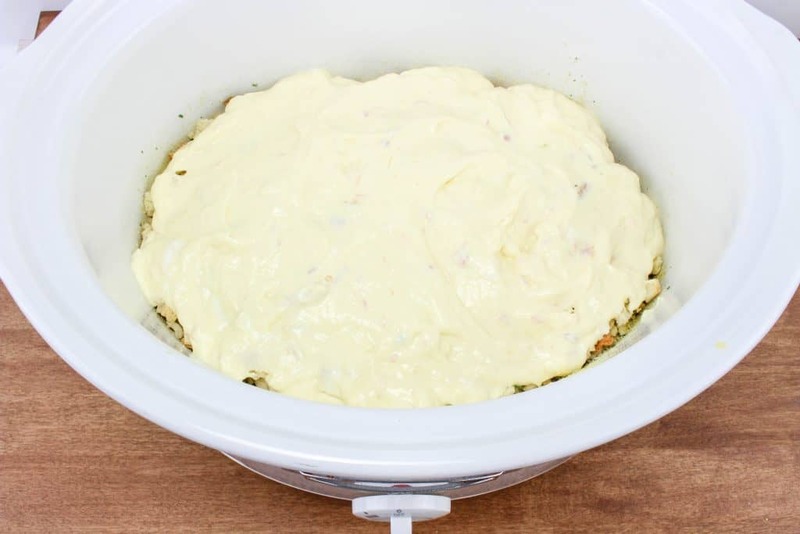 CRAVING MORE CROCK POT MEALS? HAVE A LOOK AT THESE! Do you use the seasoning pack that comes in dressing Box. With the Stove Top, there is no seasoning packet. It’s all in one bag. 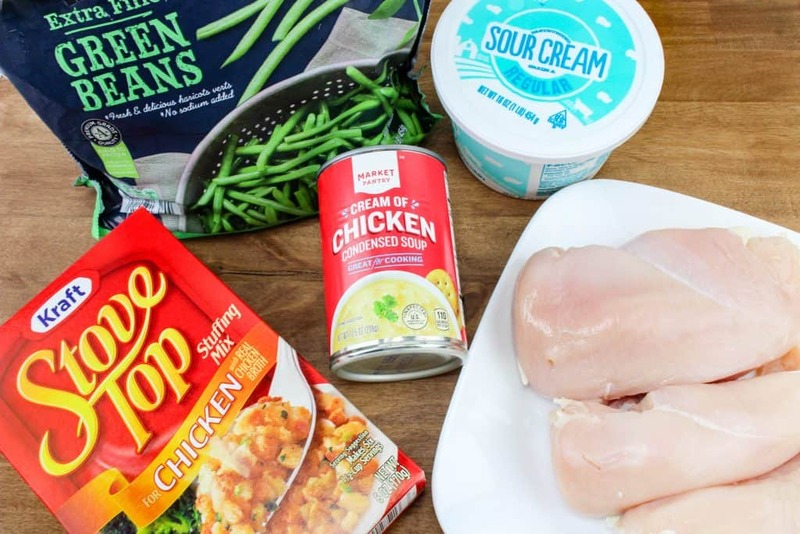 Can you frozen chicken breasts? How long would you cook it? How would this be cooked in instant pot?? 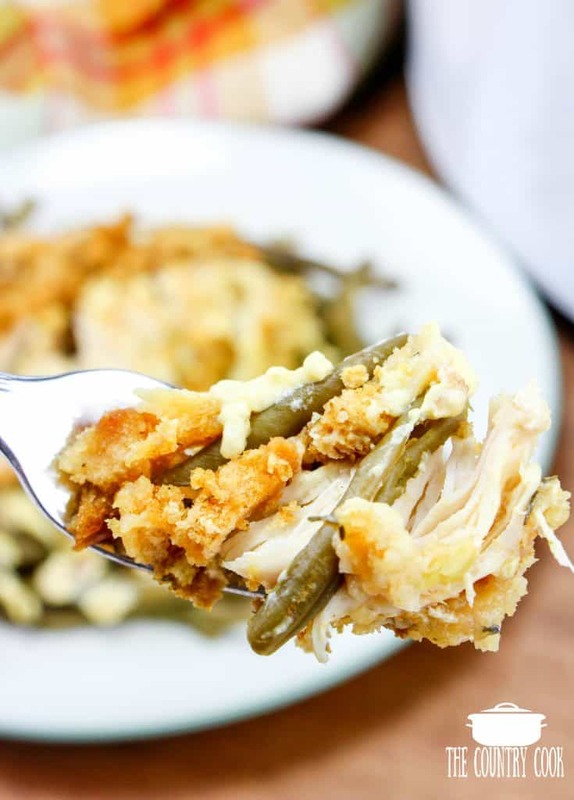 Could you use frozen broccoli instead of green beans? 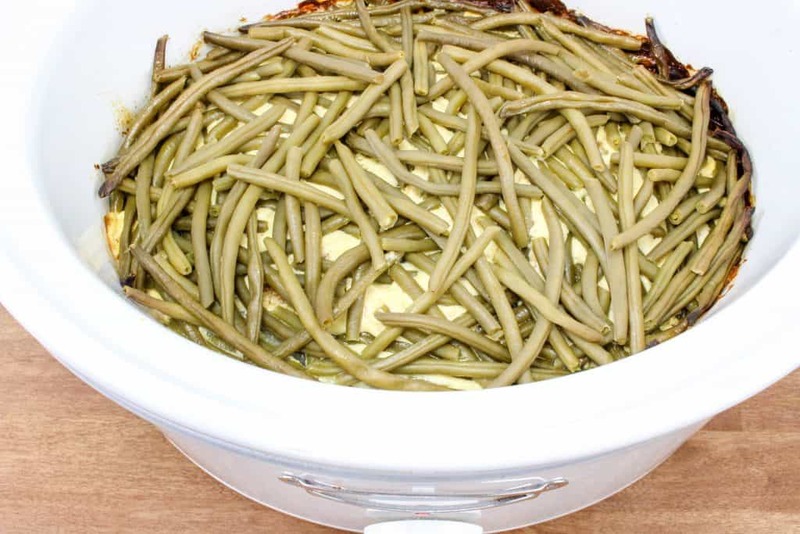 Can you use fresh green beans instead of frozen?? 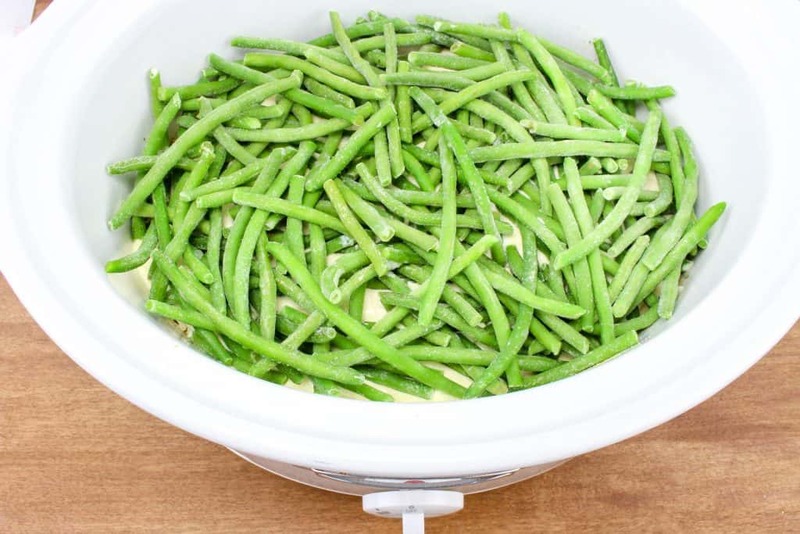 Can you use fresh green beans instead of frozen? I’ve made this recipe before. I use a crock pot cooking bag to prevent sticking.and I cook on low setting for 7-8 hours. You can substitute any vegetable you want in this! It all depends on your preference. My favorite is a bag of frozen peas and carrots. You can also use chicken broth in place of the water or milk. It all taste great! I’m making this right now. Do you stir it at all? No need to stir, enjoy! This is really good; however it is way too dry for us. Probably won’t do again unless you have a recommendation to make it a lot (and I mean a lot) moister.? I doubled this recipe in my 8 quart crock pot and added a large can of mushrooms. Took it to work to feed the crew. They loved it. Wonderful recipe.